Dark grains are perhaps some of the most interesting ingredients for home brewing beer – they offer an explosion of flavor and color. This week, I step off the beaten path and explore some alternative ways to use dark grains when brewing beer. After last week’s podcast interview with Gordon Strong, I was revisiting some sections in his new book Brewing Better Beer (Amazon link), when I came across a discussion of dark grains that sparked this week’s topic. Gordon refers also to a paper on steeping dark malts from Mary Anne Gruber of Briess Malting, and much of the material presented here is summarized from his book. For the purpose of this article, I will use the term dark malts to refer to roasted grains and malts such as Chocolate, Black Patent and Roasted (Black) Barley. One could also include very dark roasted specialty malts such as Chocolate Wheat, Carafa, and Special B. What is unique to these malts is that they have been roasted to the point that they have no diastatic enzymes and also that whatever fermentable sugars are present in the malt have already been broken down during the roasting process. As a result they do not actually need to be mashed. Steeping these malts is sufficient to release their flavor and remaining sugars. If you understand this basic fact, you can now treat them (to borrow from Gordon Strong’s analogy) like coffee. Whether you mash the dark grains or steep them in some other stage, the character of the dark malt flavor is driven more by the steeping time (assuming the water is sufficiently hot) than anything else. Also, like coffee grains, if you steep your grains for a long time you will get a more acidic and bitter flavor profile. Most all grain brewers mill and mash their dark grains with the rest of their grains. As many mashes last 60-90 minutes, this can lead to a more acidic and bitter flavor profile and in some extreme cases even an astringency (used tea bag) flavor. Think for a moment of what would happen if you steeped coffee for 90 minutes to brew your morning cup. This bitterness is accentuated if the pH of the mash has not been adjusted to the correct level (pH too high). To be fair, mashing dark grains can be a plus in many styles. Dark grains are acidic, and do play an important role in lowering the pH of the mash for many styles. This lowering of the pH (5.2 is ideal for the mash) reduces the astringency and creates a much better beer overall. Also bitterness from the grains is an important flavor component in many styles such as Porters, Schwarzbier and Stouts. The vorlauf is the recirculated wort typically drawn at the start of the sparge – usually the first few quarts of runoff for a home brewer. This first runnings is then recirculated back to the top of the grain bed as it typically contains a high percentage of grain particles. In this variation, one does not mash the darkest grains, but instead steeps them in the vorlauf at the start of the sparge process and then recirculates the steeped wort back through the mash tun. The advantage of this method is that is avoids the long hot steep of the mash, and the dark wort from the vorlauf is recirculated through the mash tun again further reducing astringency. However, since the resulting wort is still boiled for an extended time it can still result in some harshness particularly for styles where the bitter profile of dark grains is undesirable. A third method is to steep dark grains separate from the mash, and then mix the resulting “grain tea” after the boil. This is perhaps the most innovative of methods as it allows you to very finely crush the grains like coffee (they no longer need to be mashed), and also to vary the water used, steep time and temperature to achieve a desired flavor profile. I liken this method to making a dark grain coffee or dark grain tea where you decide precisely how it is brewed. Mr Strong recommends a water to grain ratio of 2 quarts per pound of grain for steeping. There are three basic options: hot steeping, cold steeping, and boiling. Hot steeping is much like making coffee. The finely ground grains are mixed with hot water in the 165 F (74 C) range and steeped for 5-10 minutes (depending on profile use) and then strained with a coffee filter or kitchen strainer. The dark extract is then chilled and added to the fermenter at the start of fermentation. Cold steeping is akin to making cold brewed iced tea or cold steeped coffee. In this case the grains are mixed at room temperature and left to steep for a day or more, before adding them to the fermenter. In most cases this results in a milder flavor than hot steeping – like cold coffee. If possible, consider boiling the water ahead of time for a short period to sterilize it and also remove oxygen before cooling and adding the grains. NOTE: I recommend pasteurizing the cold steeped tea at 170 F for 10 minutes after you have steeped it to prevent possible infection or bacteria from the grains if you plan to add the tea directly to the fermenter. A final option is to perform a short boil and add the grains at the end of the boil (tpypically 5-10 minutes before the end of the boil). This is often done by simply adding the grains at the end of the regular wort boil rather than creating a separate boil. The bottom line is that because of the nature of dark roasted grains, they need not be mashed and therefore can be added at any point in the brewing process prior to fermentation. Steeping dark grains separately from the mash will generally result in less acidity, astringency and a little less color. 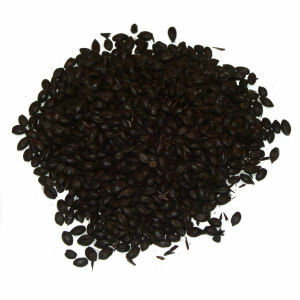 While a dark roasted bitter coffee flavor may be desirable for certain styles such as Stouts, Scwarzbier and Porter, steeping the dark grains separately may be an ideal solution for those brewing milder styles. The techniques outlined above also provide more flexibility to precisely control the flavor and color that dark grains add to the beer. Thanks for joining me on the BeerSmith blog! Please subscribe to the newsletter or podcast on iTunes for more articles and sessions on home brewing! For cold steeping, is Lactobacillus not a concern? My understanding is that normally grains are covered in the bacteria, so adding grain unboiled to the fermenter will result in a souring of the wort. Is this somehow different when dealing with dark roasted grains? At what point does it change? Is there something else that you are doing to sanitize the grains before steeping? Thanks! I have read Gordon Strong’s book “Brew Better Beer” and loved it! The last three beers I brewed all contained steeped grain. Is there a way to incorporate steeping grains into the software. I have looked and can’t seem to figure it out! I have the latest version! Great post! My brother and I were just recently discussing the idea of steeping dark grain in a cider during the pasteurization of the juices. Have you ever come across such a recipe or method? it’d be really great to update beersmith2 to support these processes. like an ‘infusion mash + hot steep’ profile, or some such thing. consider this a feature request! My buddy and I only do partial mashes, but we’ve taken to cold-steeping our dark grains whenever we make a stout or other dark beer. We generally soak them for at least 24 hours, and then just add that steeped “tea” to the wort, right at the beginning of the boil. That’s worked _really_ well for us, so far — we can definitely taste a difference, and having it go through the full boil removes any concern about sanitation, etc. Do you know if other steeping grains can be added in the same way? I’d like to make a 5 gallon batch of a base beer and add different steeping grains (crystal as well as dark grains) to two 2.5 gallon ferments. Steve — your lighter crystal malts are going to need to be mashed, but as you work your way up to the really dark ones, I’ve always assumed that you could/should cold-steep those, too. Is there a way to specific dark grain as being cold steeped in BeerSmith 2? I’m looking around but I can’t seem to find how to change my dark grain from “mash” to “cold steeping”. I don’t have a separate feature for that in all grain recipes yet. It is high on my list to add. Why does Gordon seem to recommend adding the liquid from a hot steep to the fermenter? Why not add it to the kettle for the last 5-10 minutes or so to pasteurize it? Enjoyed the article and podcast Brad. I’m going to try hot steeping dark grains and crystal for my next porter, adding to the boil with 15 minutes remaining. Should I adjust water pH for ghe steep, or is this not a concern? So, if I steep my dark grains separately, and toss in the tea at the end of the wort boil, do I acidify my mash up front like the beer will never see those dark grains, or leave the pH a little high knowing they will be present in the final product? It is all about the Maillard reaction and melanoidins. Time, temperature and pH dependent – also depends on the amino acid composition. Experiments performed by one of our local homebrewers showed some stunning color differences and flavors (ranging from rank-awful to pleasing roses and light plastic). So this is a very delicate situation and for any two brewers to attain the same end result virtually impossible. We are covering this complex reaction series also with distillers.